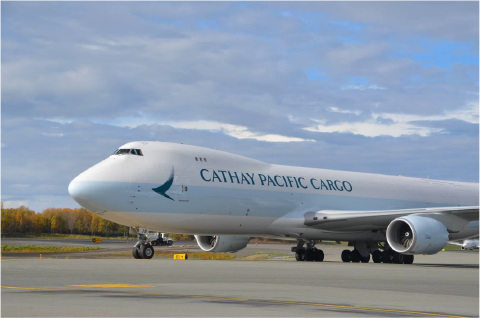 Customers of Cathay Pacific's cargo division and Lufthansa Cargo are now enjoying the advantages of the recent expansion of the carriers' joint business agreement (JBA), which has seen the start of eastbound joint shipments from Europe to Hong Kong. In addition to the capacity provided by the airlines' dedicated fleet of cargo aircraft, the belly space of passenger aircraft and the road feeder services of both partners can also be booked by customers. Cathay Pacific Director Commercial and Cargo Ronald Lam said: "Our cooperation with Lufthansa has reached an exciting new phase, which is of great benefit to our customers in Europe and undoubtedly strengthens one of the world's great trade lanes." Customers have been able to book general and express cargo on all Cathay Pacific and Lufthansa flights from Hong Kong to Europe since 2017, the commencement of Hong Kong-bound shipments means there are now 280 direct flights, covering 15 airports, in the carriers' joint network per week.